Hydrogen therapy supports the improvement of exercise performance. 80 ml/ minute hydrogen generation in dual mode. The respiro-cubic focusses on athletes and health conscious people that want a higher dose of hydrogen than you would be able to drink with water. Hydrogen inhalation therapy shows promise in hospitals and sports across Japan as many positive developing researches are conducted. 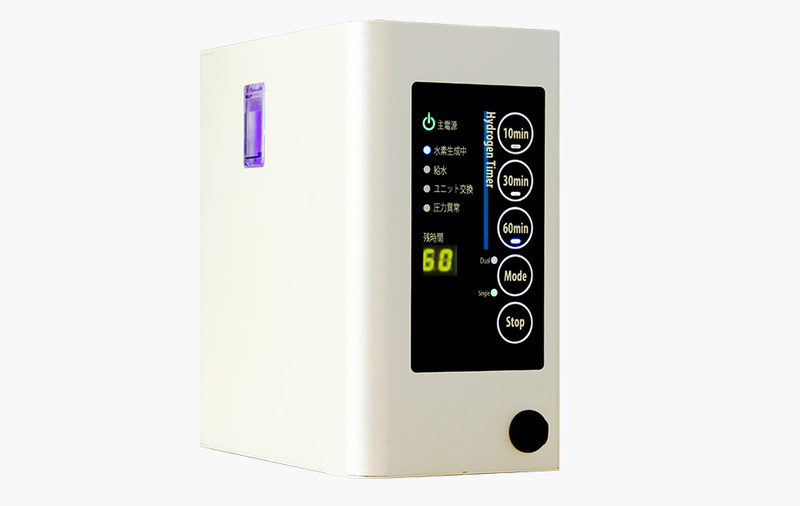 Hydrogen inhalation treatment is an innovative way to care patients after cardiopulmonary resuscitation, by inhalation of hydrogen gas, which protects life and brain function, enabling their rehabilitation. Hydrogen therapy is also for sports and athletes, it’ an innovative treatment for exercise-induced oxidative stress and sports injuries. Hydrogen therapy supports the improvement of exercise performance. Hydrogen has some very beneficial properties it’s an antioxidant. Hydrogen is also an extremely small molecule that can penetrate even the tiniest cellular compartments. This helps explain how hydrogen works to offer free-radical defense throughout the entire body. Another property of hydrogen is that it’s considered anti-inflammatory this helps athletes and patients to recover faster from muscle-pain, joint-pains and injuries. Hydrogen is used for decades in deep sea diving, compressed air is limited to a depth of around 75 meters (250 feet), if humans want to dive deeper hydrogen oxygen mixes can be used. It’s the hydrogen component that gives power to the divers at depth and accelerate athletes on the ground. 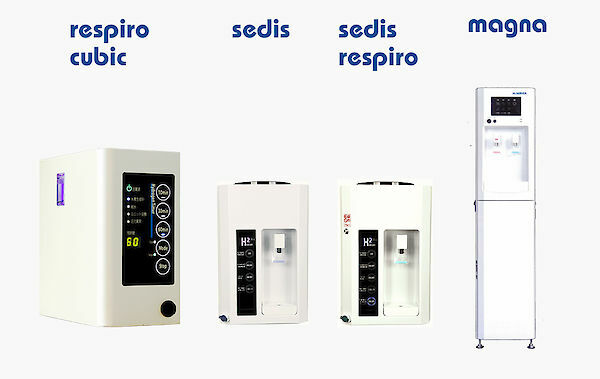 H2 Respiro-cubic an high concentrated "hydrogen inhalation therapy unit"